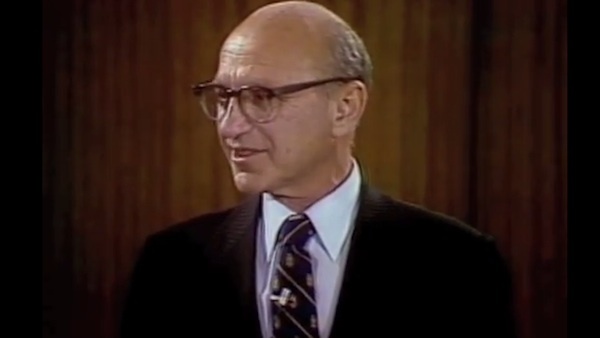 Free market libertarian hero Milton Friedman was always the best at explaining economics. His speeches and Free to Choose documentaries have educated millions around the world about how free trade and limited government encourages economic growth and strengthens individual liberty. His position on illegal immigration however is one area where many conservatives part ways with Uncle Milty. In this discussion, Friedman argues in favor of illegal immigration from Mexico. Here’s where the rubber meets the road between true economic libertarianism, and big government conservative tribalism.